How to distinguish between pass out and let export. What does the term mean Let Export Order? 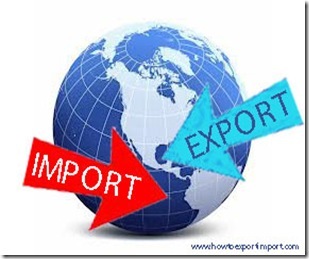 How does this term work in Export trade in India? What is Pass Out of Customs? How does the term Pass Out of Customs function? How to differentiate between Let Export and Pass Out? ‘Let export order’ is the final procedures of export customs clearance procedures to export any goods outside country. Pass out or ‘Passed out of customs’ is the final procedures of import customs clearance procedures to take delivery of imported goods. What is Let Export Order? How to obtain Let Export Order? Once after goods ready for export, exporter arranges to complete necessary export customs clearance procedures at his nearest customs location where goods are sent for export. Necessary export customs clearance procedures and formalities are completed by filing shipping bill and other required export documents by exporter with customs. The proper officer of customs designated to permit export examine goods / assess the value where ever applicable and permits to move goods out of country by authorizing ‘ Let Export Order’ in shipping bill for each consignment. Once after obtaining Let Export Order in Shipping bill pertaining to each consignment, exporter or his customs house agent delivers goods to shipping carrier to move to final destination of foreign country. What is Pass Out in Import? Explain the term ‘Pass out of Customs’. Pass out of Customs is a term used in import customs clearance procedures and formalities in India. Once goods arrived from a foreign country to Indian customs location, necessary import documents are filed by importer or his authorized customs broker. Bill of Entry is a prime document to be filed with Indian customs to complete necessary import procedures and formalities along with other required documents related to said import consignment. The designated customs officials examine goods / assess value of goods where ever applicable and allow taking imported goods out of customs area, once after satisfying their requirements specified by the government of India. After completion of such import procedures and formalities, proper officer of customs allows importer to take material out of customs by mentioning in bill of entry as ‘Passed out of Customs’. I have written a couple of articles in detail about these import procedures and formalities. Kindly read those articles also to have a clear idea on the subject matter. I hope, I could satisfy you on this subject – Pass out and Let exporter with their difference. Would you like to share your experience and knowledge about this subject – Difference between Pass out of Customs and Let Export order. Comment below your thoughts about Pass out of Customs and Let Export Order. Are Construction contractors eligible for Packing credit? How to export from Tuvalu?